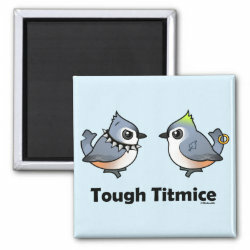 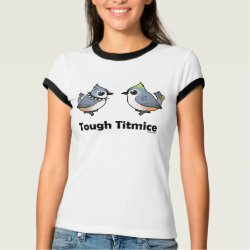 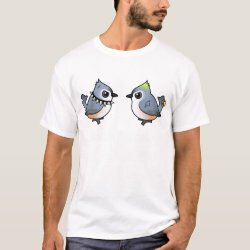 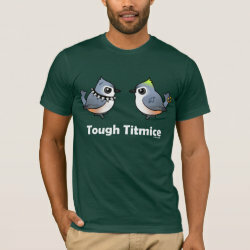 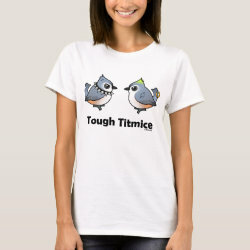 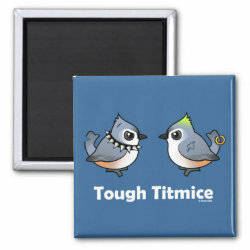 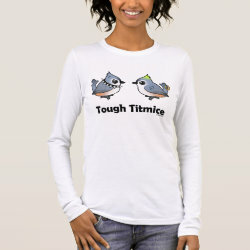 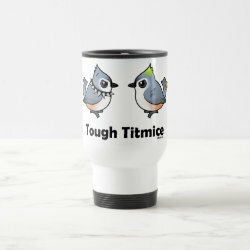 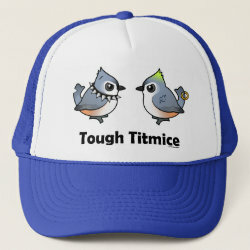 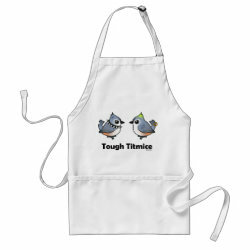 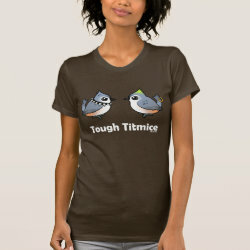 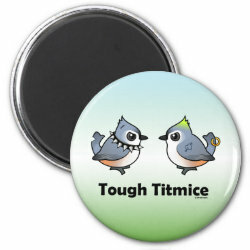 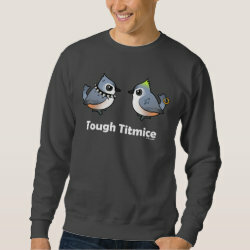 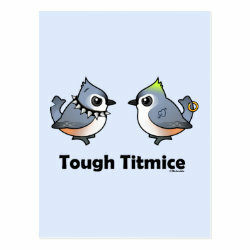 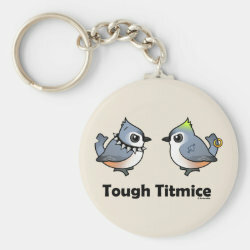 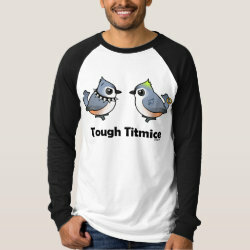 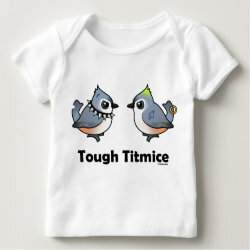 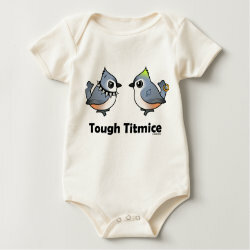 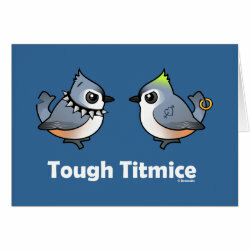 This cute design features two Tough Titmice. 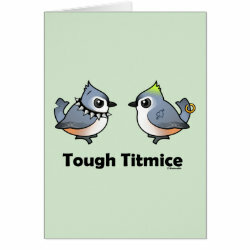 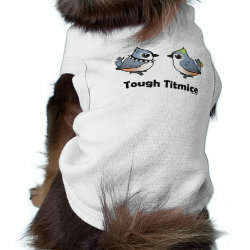 Titmice are cute birds and our Birdorable version of the Titmouse is extra cute - but these Titmice are also tough! 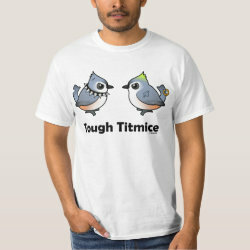 Have you heard the expression Tough Titmice? 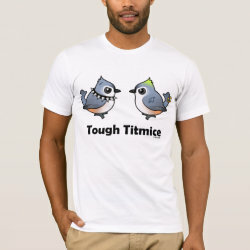 Well, here more... they are! 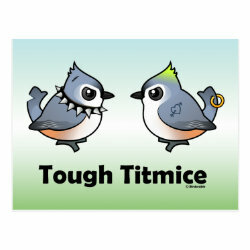 One Titmouse is sporting a spiked necklace while the other has a tail piercing and a green Mohawk. 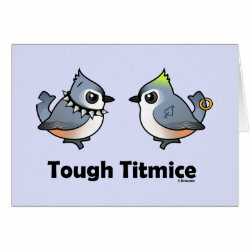 These aren't just Tufted Titmice, these are two really Tough Titmice!